"Kneel to the Fallen" is the first War Boys Novel that I've read. It is engaging and riveting - keeping me in suspense of what happens next and will any more of my favorite characters get killed off. The story takes readers to Burma, the U.K and Scotland, offering us readers a glimpse of those countries and political make-up. The story line is intriguing and plausible, keeping readers wondering just how this team was going to handle the many threats thrown their way. It also confirms our thoughts about terrorists and dope runners, they are all ruthless and fanatical! This War Boys novel is similar in nature to other "teams" and their missions by authors such as C.G. Cooper and Wayne Stinnett. My only complaint is the typos and extra words added in the story that would have been caught otherwise by an editor...tlhis criticism takes into consideration that the author used Austrailian prose to produce this story. Another critical error is when the Burmese hit squad was making the hit on Daniel and Cassandra, the author confused the existence of one of the hitmen. First, he is named correctly, then the name changes to the name of the Burmese hitman that was killed earlier, then he returns again to the correct name. The story kept my interest and moved along at a good pace. 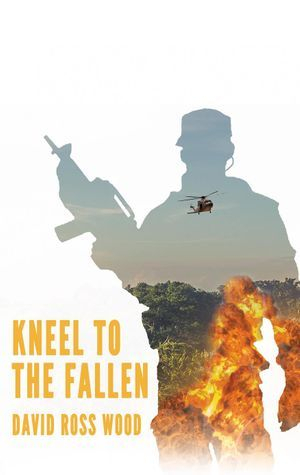 I'd recommend, "Kneel to The Fallen" to those readers who appreciate stories about these kinds of special teams (ex-military) who come together in the fight of good vs. evil. I also plan to purchase the author's first book, Horns of the Minotaur and hope to find it just as good. Great story Mr. Wood! I'd been looking forward to the further exploits of The War Boys and this didn't disappoint. Accustomed to the fast-moving action and drama of Horns of the Minotaur, this sequel stands alone but also further develops the characters we've come to know intimately. I'd really like to see this on screen. Meanwhile, can't wait for the next episode. Another good read. Always something developing as the plot unfolds, just like his previous book, The Horns of the Minatour, I couldn't put it down. The research regarding locations and attention to technical detail of the weapons and their capabilities intrigued me, which made the entire story so much more real. Great work, I look forward to his next book. It's up there with the best in my opinion.... 4.5 Stars from me.